From Proms 2016, the Sao Paulo Symphony Orchestra conducted by Marin Alsop. Marlos Nobre: Kabbalah. Grieg: Piano Concerto. Villa-Lobos: Prelude (Bachianas Brasileiras No 4). Performer: Gabriela Montero. Orchestra: São Paulo Symphony Orchestra. 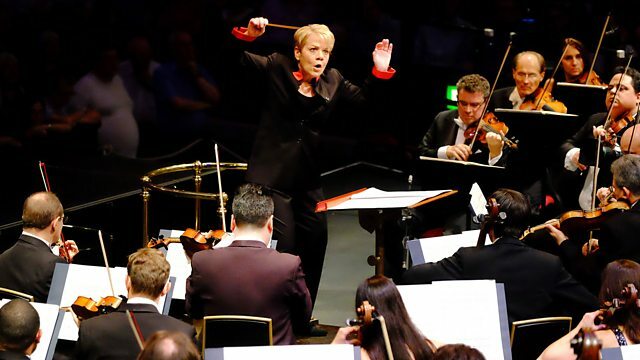 Conductor: Marin Alsop.